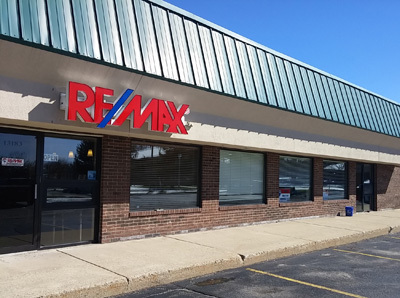 Great location- 100' of high visibility frontage on Lake Lansing Rd. just west of Wood Street, and 2.6 acres of wooded undeveloped land, with 200' bordering Sam's Way to the north, and 11/2 story office building on S. end of property with potential as a rental, office or removal. Office structure offers 1950 sq. feet, 2 baths GFA ad AC, aluminum siding, the garage has been converted to storage- kitchen has been removed. Parking in front and back. Owner currently uses office.